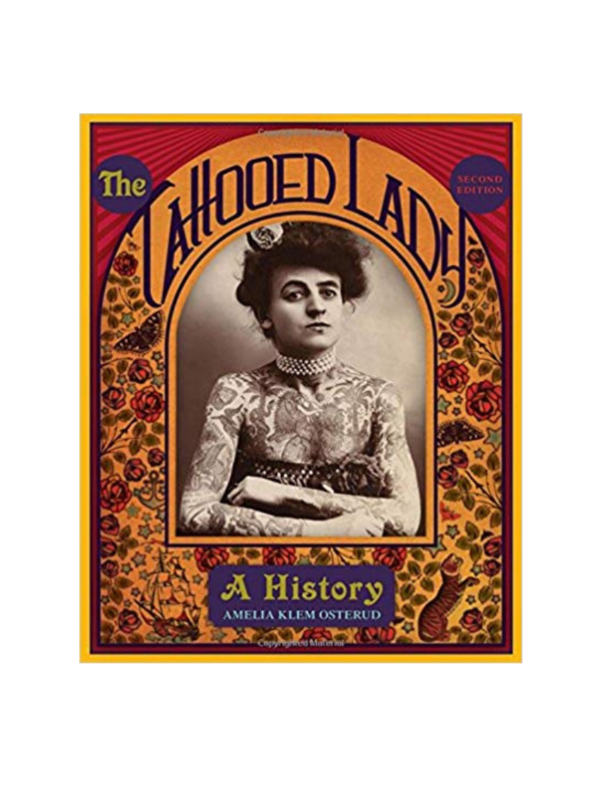 The Tattooed Lady is the debut book from historian and librarian Amelia Klem Osterud. When Amelia Klem Osterud started investigating women’s labour history, her personal interest detoured her research towards tattooed Native Americans and then into the history of tattooed women. 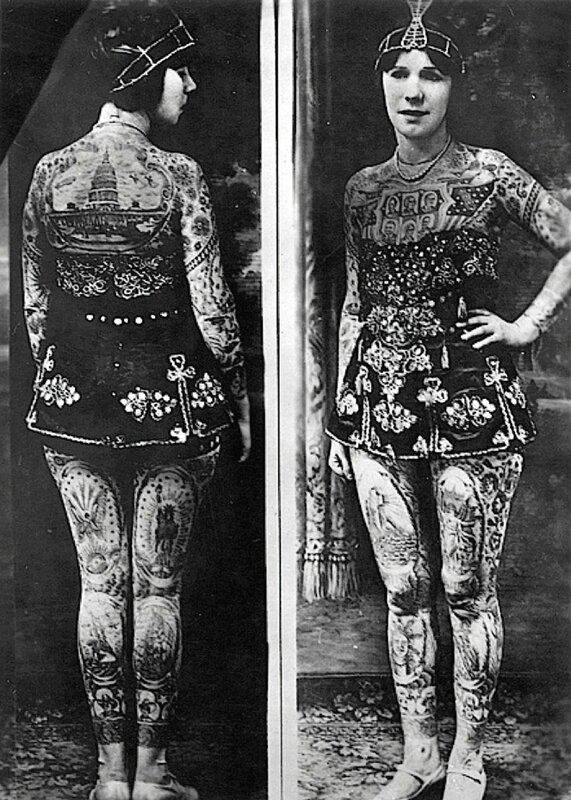 I’m sure I am not alone in my fascination with tattooed ladies of the late 1800’s who first began to appear as exotic attractions and was overjoyed to discover Osterud’s The Tattooed Lady that is dedicated to their memory. The Tattooed Lady begins with a history of tattooing in general but paying close attention to periods of time where the existence of tattooing is less widely known, such as during the Greek and Roman eras. She explains how tattoos morphed from a way of branding slaves to an open sign of religion or spirituality. The Tattooed Lady by Amelia Klem Osterud is a difficult book to find in the shops but if you can track a copy down it really is worth the investment. The book is written with such obvious passion for the subject and respect for the women it documents that it leaves you quite in awe of these unassuming icons. The women between these pages paved the way for every tattooed lady today and this book really is a bible for anyone wanting to know more about them. The numerous photographs of tattooed women through the ages are mesmerising, documenting not just artistic changes in tattooing but cultural ones too. Although I have read numerous non-fiction books on tattoos, it is safe to say that this is my favourite, due to it’s in-depth research and attention to detail. This is a truly unmissable book for tattooed women everywhere. If you like The Tattooed Lady by Amelia Klem Osterud you’ll love The Painted Lady by Dominique Holmes.